Joachim “Gnom” Wandel was born on 7 May 1914 at Schlochau in Westpreußen. Already enlisted in the army in 1935 and serving in the artillery, Oberfahnrich Wandel transferred to the Luftwaffe. On completion of his flying training he was posted to JG 132. At the end of 1936, Wandel transferred to the staff of J/88 operating in support of Franco’s Nationalists in the Spanish Civil War. On 15 May 1937, Wandel was shot down by flak near Bilbao and became a prisoner of war.  He was awarded the Spanienkreuz in Silber mit Schwerten on his return. Wandel was serving with 2./JG 76 at the outbreak of World War 2. He participated in the invasion of Poland, the French campaign and the Battle of Britain. Oberleutnant Wandel recorded two victories during the French campaign. On 4 July 1940, 2./JG 76 was redesignated 5./JG 54. On 1 August 1940, Wandel was transferred to Jagdfliegerschule Zerbst. Wandel returned to front line duty in autumn 1941 as Adjutant to II./JG 54 based on the Eastern front. By mid-March 1942, he had 30 victories to his credit. 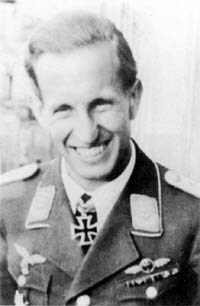 On 21 April 1942, Wandel was appointed Staffelkapitän of 5./JG 54. Oberleutnant Wandel had 32 victories to his credit. In the summer months of 1942, Wandel was particularly succesful at night in the Leningrad area claiming 16 victories, including seven enemy aircraft on the night of 6/7 July to record his 37th through 42nd victories. He claimed 24 victories in August, including three Russian U-2 utility biplanes shot down on 3 August (50-52), five Russian MiG-3 fighters shot down on 9 August (57-61) and three Russian fighters shot down on 18 August (68-70). Hauptmann Wandel was awarded the Ritterkreuz on 23 August for 64 victories. On 7 October 1942, Wandel shot down a Russian LaGG-3 fighter northeast of Oschtaschkow for his 75th, and last, victory. He was shot down in this engagement, his Bf 109 G-2 (W.Nr. 10 353) “Black 11” being seen to fall vertically and crash into a forest. Wandel did not bale out of his stricken aircraft. “Gnom” Wandel was credited with 75 victories. He recorded approximately five victories over the Western front. Of his 70 victories recorded over the Eastern front, 16 were recorded at night.